The food pantry at Leighton Church is open to all people in need. The pantry is stocked with canned goods, boxed foods, and personal items donated by the Leighton Church family. 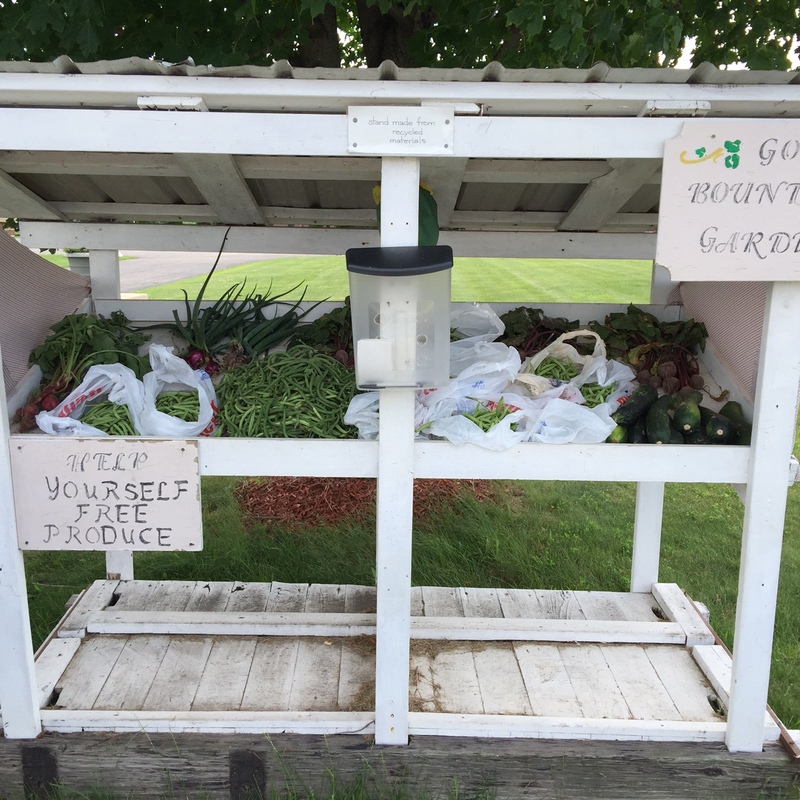 The food pantry is open Tuesday-Thursdays from 9:00 a.m.-3:00 p.m.
Each summer, a variety of vegetables are planted in a garden behind our facility. Volunteers work hard to plant, weed, and water the garden. As vegetables ripen, they are picked and set out on a stand near the church drive off of 142nd Avenue. Families in the church also donate extra produce from their own gardens. It is our goal to offer fresh vegetables for families in need.